A homemade gift for under ten dollars! Everybody loves getting homemade gifts. It takes time, effort, and love to make them! 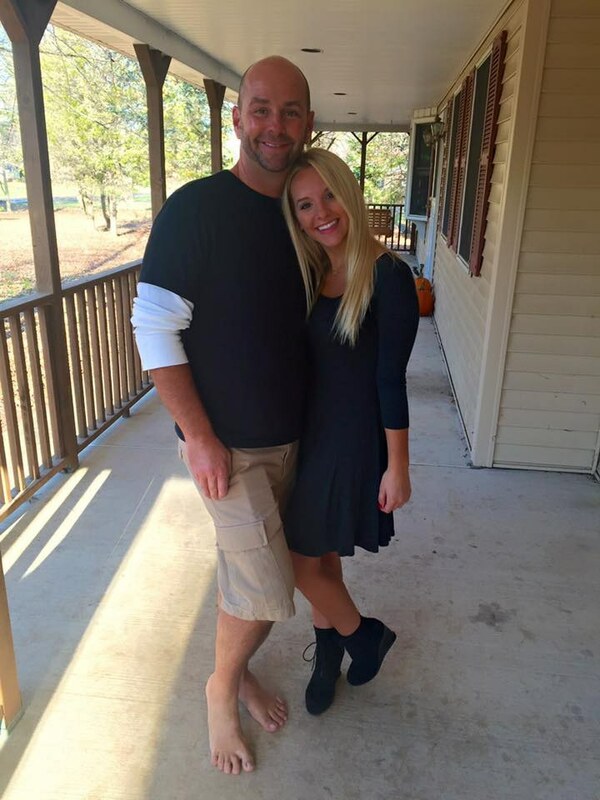 So show your loved ones just how much you appreciate them by making the gifts yourself. 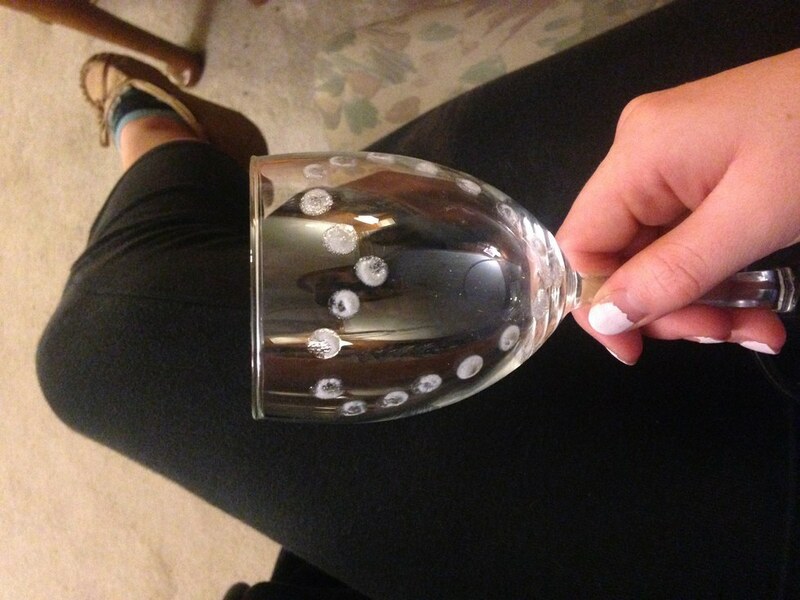 If you are completely stumped and don’t want to buy Grandma another pair of slippers or holiday themed oven mitts she can only use seasonally, then try decorating a wine glass for her...or a glass mug for coffee if she's not into wine. 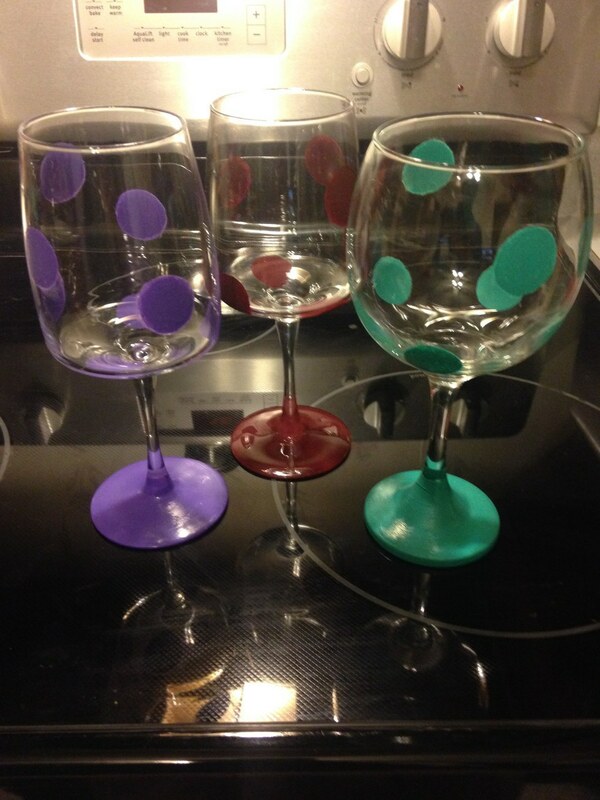 You can paint a whole set of glasses for newly weds, your favorite aunt, whoever. And for the gentlemen, decorate a beer glass/mug! Here are the steps to make this great, and most importantly, inexpensive gift. 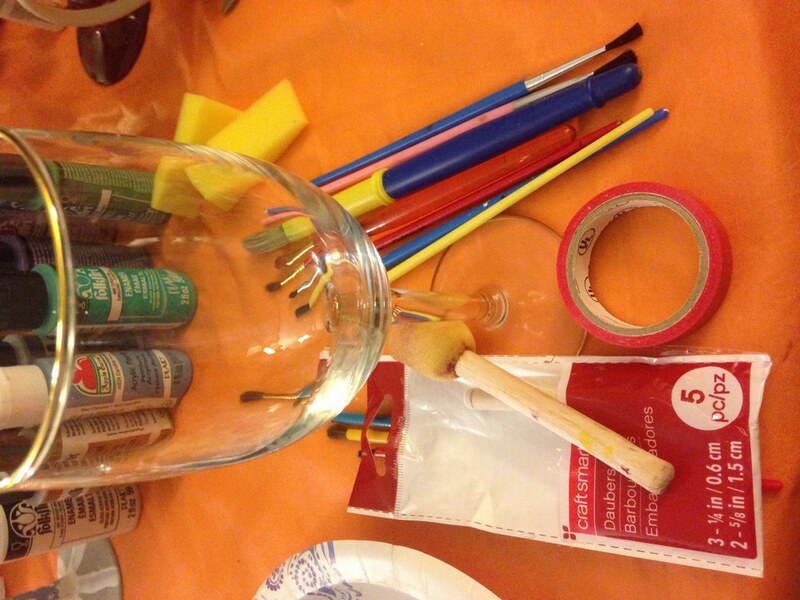 What you'll need: Dollar store wine glass(es) (or beer/glass coffee mug...whatever you please), Folk art enamel paint, Craftsmart paint pens, paint brushes, sponge brushes, tape (masking, electrical, washi), and Craftsmart daubers. 2. 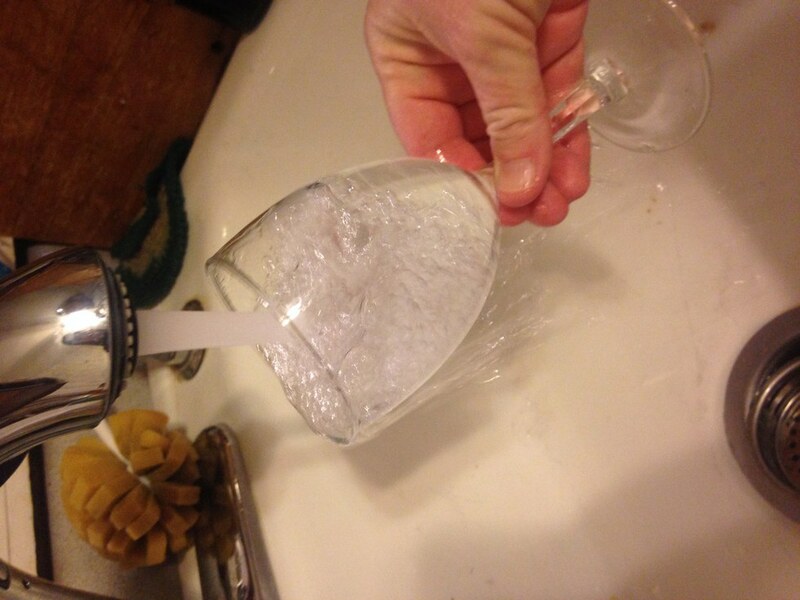 Wash the glass off with warm water. 3. 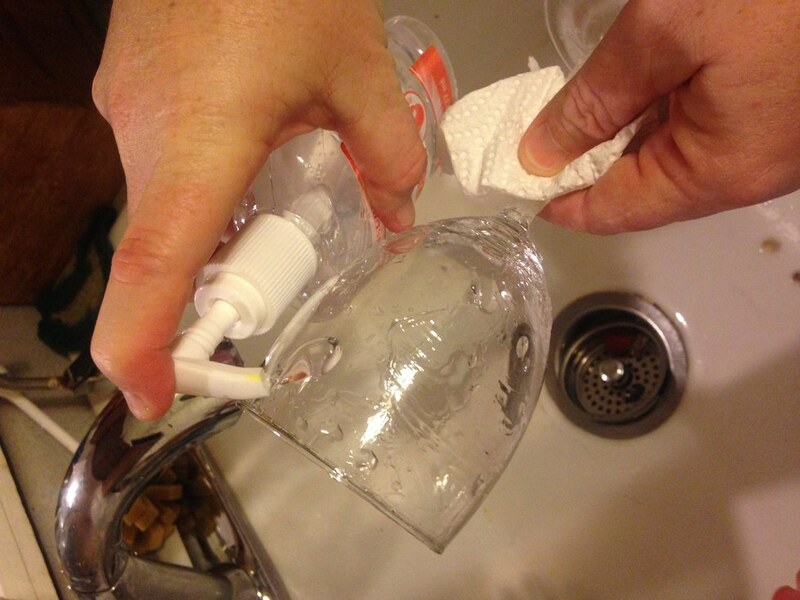 Rinse with rubbing alcohol or if you do not have that, you can use hand-sanitizer. This obviously cleans the glass and removes the oil that may have come off of your fingers. Design it any way you please! It is helpful to place a piece of white paper inside of the glass while you are painting so you can see your designs clearly. You can use the Craftsmart paint pens to write names, important dates, etc. Make sure you DO NOT paint too close to where your mouth will be (this is where the tape comes in handy). Wait about six hours for the paint to dry and then apply a second coat and touch ups where needed. Place glasses on a baking tray and put into a cold oven. Set oven temperature to 350 degrees. Bake it for 30 minutes and then turn the oven off. 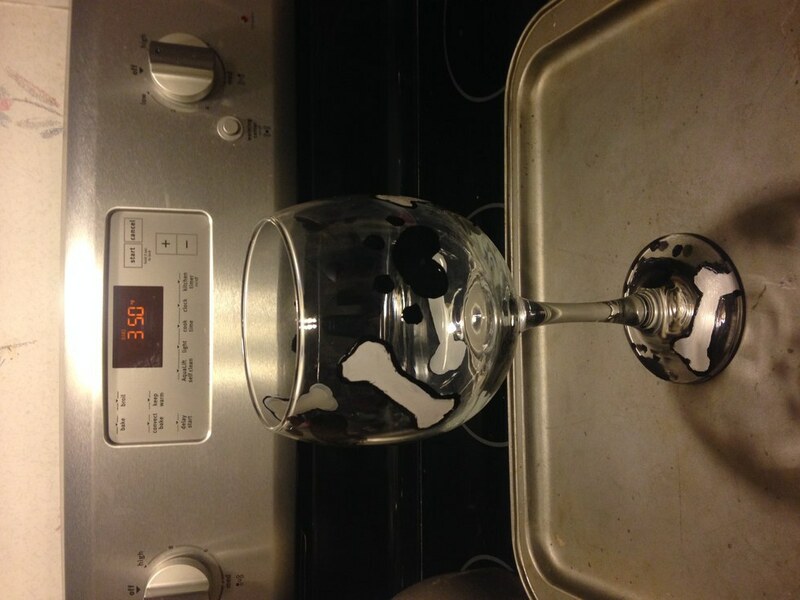 Let glasses cool in the oven for as long as it takes the oven itself to cool. Remove and viola! These glasses should now be top-rack dishwasher safe. If you feel more comfortable, hand wash them. This gift is fun to make, inexpensive, and your loved ones can actually put it to good use!